As office styles become more casual, there’s a shift in the way menswear is being worn. Core items and the looks you already love are taking on a new life and being elevated by the way they are styled. Styling today is changing the way woven shirts are worn. Pair a grid check shirt with a sport blazer and a patterned or textured tie. For striped shirts, go casual and wear it under a denim jacket. Knits are hitting the mark when it comes to modern styling. Minimalist polos are being worn buttoned up to the neck and tees are being worn underneath a blazer or a suitcoat. These uncommon pairings and updated performance features are bringing new life to these iconic wardrobe staples. Workwear and utility looks are important trends that feel both urban and industrial at the same time. 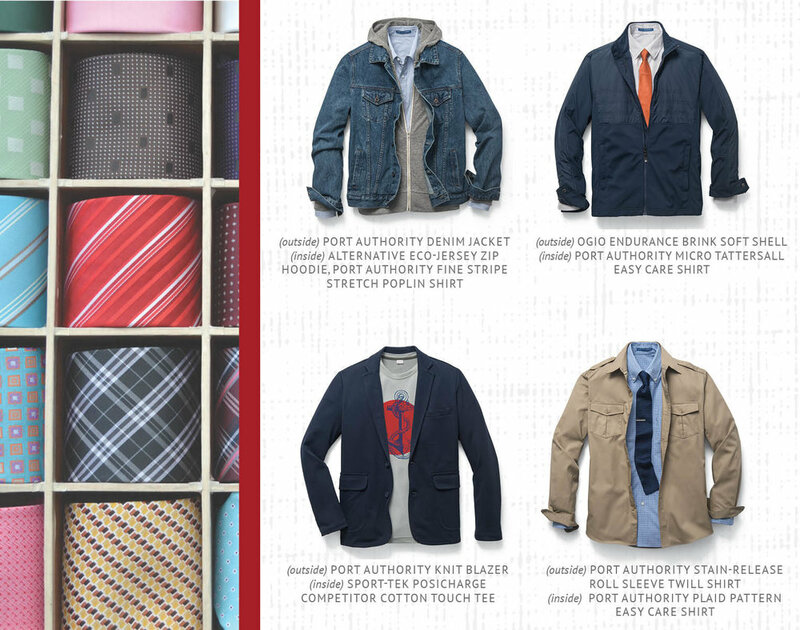 When styled with ties, dress shirts or suit jackets, core shirts evolve into completely new looks.